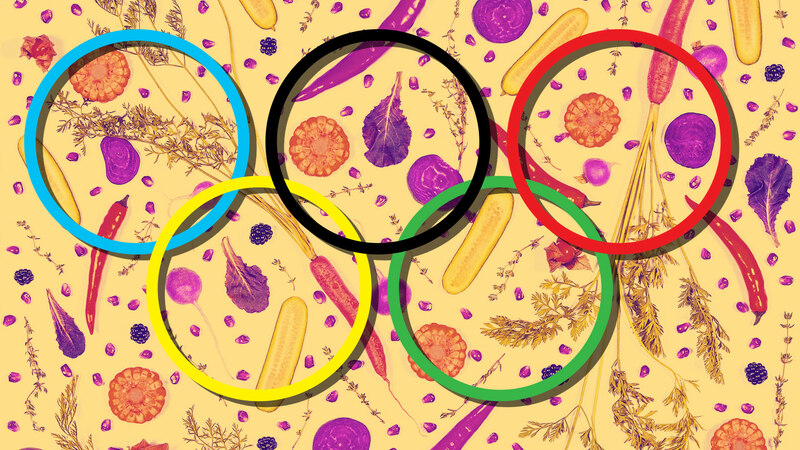 Israetel, who’s also the head science consultant and cofounder of Renaissance Periodization, instructed the Team USA Olympians on both nutrition and recovery, and he says meal prepping is an essential part of maintaining everything from their nutrition and training to their recovery and performance. But the biggest benefit everyone gets out of meal prepping? It helps de-stress. Plus, anyone can do it; it’s that easy. We spoke to Israetel about the misconceptions of meal prepping, the meal prepping tips he gives Olympic athletes and more. He even gave a couple of meal prep recipes to help get you started. SheKnows: What are some misconceptions about meal prepping? Mike Israetel: Two related ones come to mind. First is the idea that you have to eat bland bodybuilding food when you meal prep. People associate dieting with restriction and suffering, even when it doesn’t have to be. So long as you’re getting the calories and macros right and eating mostly healthy foods, you can have tasty and varied food in your meals. On the opposite end, some people think that they have to win the meal prep Olympics each week and rack their brains about how they can make their food ever tastier and more creative. They’ll make, like, five different menu items to eat through the week, which ends up costing tons of time and effort. If you like that much variety and you’re OK with the process, go for it. But it’s just fine to throw some basic healthy foods together and keep things simple if that’s more your style, especially if you’re super-busy with everything else in your life. SK: What are some of the most common mistakes people make when meal prepping? MI: A very common one is prepping bulk ingredients (like a tub of rice and a tub of cut-up chicken) and filling up individual meals from the bulk contents in the fridge every morning or night. This just takes more time for no reason. Our recommendation at RP is to portion your food out into individual meal Tupperware when you prep it so that your only job later in the week is to open, heat and eat. SK: Are there certain types of foods people should avoid when meal prepping? If so, what are they — and why? MI: Honestly? Food that doesn’t sit well in the fridge/freezer, or more to the point, food that doesn’t reheat well. Some foods (like maybe tuna or eggs) just don’t reheat like others and are best eaten fresh. If you hate how your meals taste, you’re just going to eat other foods instead. A lot of this is trial and error, but if you made some food and it tastes very “meh” after being reheated, just opt for different stuff next week! SK: What kind of meal prep tips do you offer Olympic athletes? MI: Get your calories and macros (proteins, carbs and fats) right. You’re a finely tuned athletic machine and nearly any imprecision is a reduction in the probability of victory. Mind you, that’s not advice normal folks need too often. However, if you’re trying to lose fat and you’re struggling, make your meals exact, eat only those meals, and you’ll be much more likely to see success. SK: Do you have any hacks or shortcuts to help speed up the process of meal prepping? MI: When in doubt, keep it simple and stick with cooking up a single protein source, a single veggie and a single healthy carb at a time. Make enough for two or three days at a time and prep each meal right then and there when it’s done. The air fryer is terrific for keeping chicken moist and cooking it very quickly. You can find a good air fryer for around $100, and it is money well spent! Use a slow cooker. Even though it cooks for a long time, the prep is very simple and you can cook during the day while you’re at work or overnight while you sleep. Take advantage of the array of already prepped food in the grocery store: sweet potatoes already peeled and cubed, steam-in-the-bag veggies, bulk bags of raw nuts, steamable plain rice bowls [and] “clean” proteins like chicken sausage, deli-sliced turkey, etc. I can do three days of meal prep in under an hour, no problem! SK: What meal-prep containers do you recommend? And what tips do you have for keeping food fresher for longer? MI: We are loving Meal Prep Society containers. The quality is great and they come in plastic and glass options — with compartments or without compartments — to meet just about any meal prep needs. If you can, it’s best to meal prep twice a week — once during the week and once on the weekend. On whichever meal prep day you can carve out the most time, make more “recipes” or food that takes a bit longer to prepare — multicomponent dishes that match your macros, roasted veggies, baked dishes, etc. Lastly, below are two recipes Israetel recommends to help you get started. Preheat the oven to 375 degrees F. Spray a 13 x 9 x 2-inch pan with cooking spray. Spread 1 cup of salsa verde in the prepared pan. Combine yogurt, 1 cup of cheese and the cilantro paste in a small bowl. Fold in the cooked chicken. Warm the tortillas according to the package directions. Spread 1/8 of the filling mix down the center of each tortilla. Roll up the tortillas and place seam-side down in a prepared pan. Repeat until you’ve got all 8 in the pan. 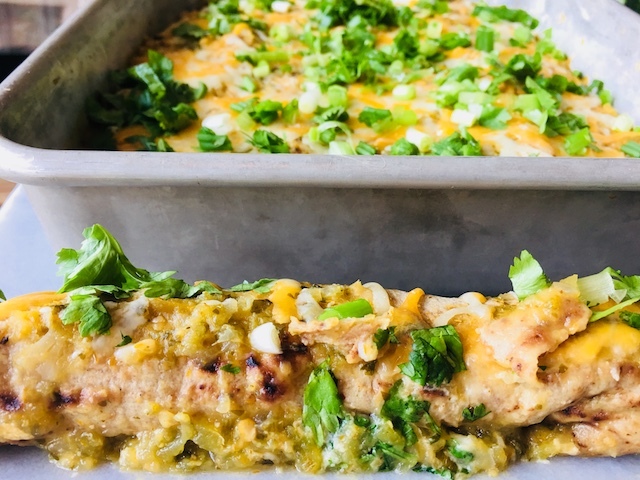 Pour the remaining salsa verde over the top of the enchiladas and spread it with a spoon or spatula to cover. Top it with the remaining cheese, and bake it an additional 5 to 10 minutes. Sprinkle the chopped green onions and fresh chopped cilantro over the top. Cook the soaked and drained quinoa according to the package directions, using chicken broth instead of water. 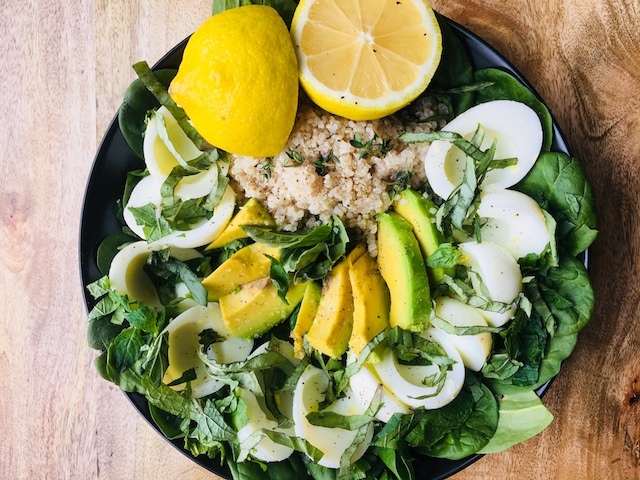 Top the spinach with the cooked quinoa, sliced egg whites and sliced avocado. Add your favorite chopped herbs and salt and pepper to taste.